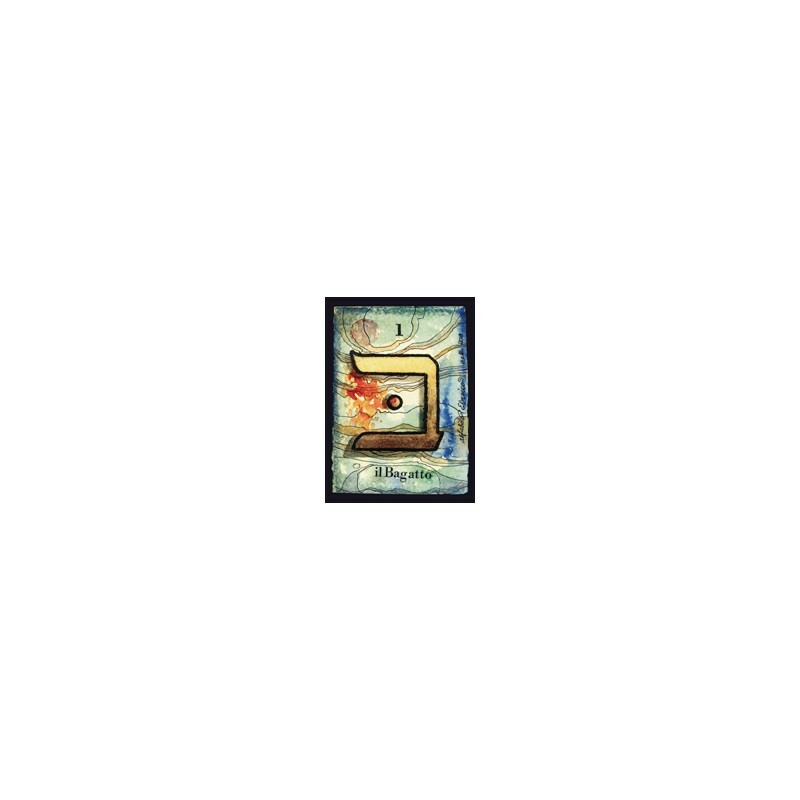 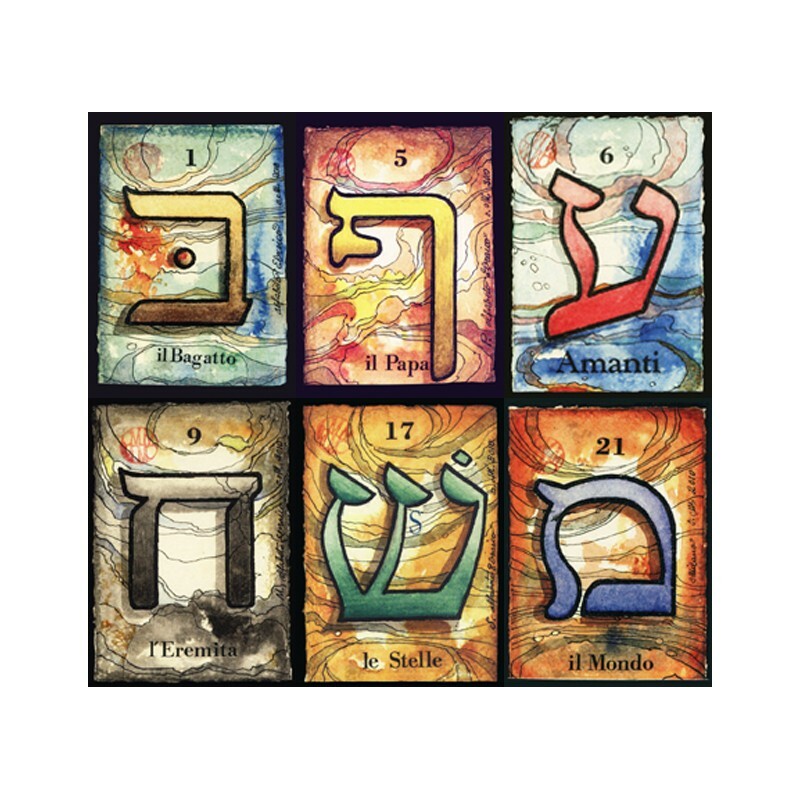 For this deck project, master craftsman Osvaldo Menegazzi teamed up with his good friend, a Hebrew professor to create this beautiful meditation based on the twenty-two letters of the Hebrew alphabet as they relate to the Major Arcana trumps. 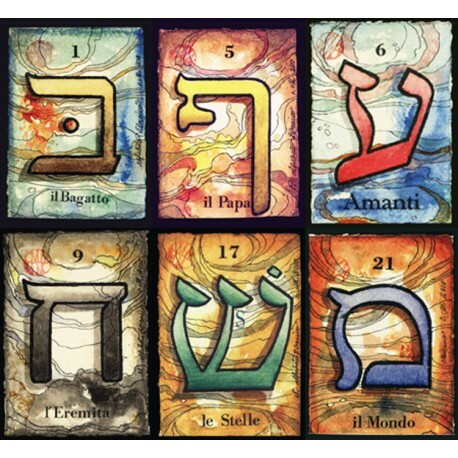 As many are aware, Court de Gebelin wrote an essay in the late 1700’s defining a correlation between the Tarot cards and the 22 letters in the Hebrew alphabet and others of that era (such as Comte de Mellet) embellished on this theme and studied it further. Many contemporary Tarot scholars and artists continue to find fascination and inspiration linking these two systems which have many parallels and correlations. 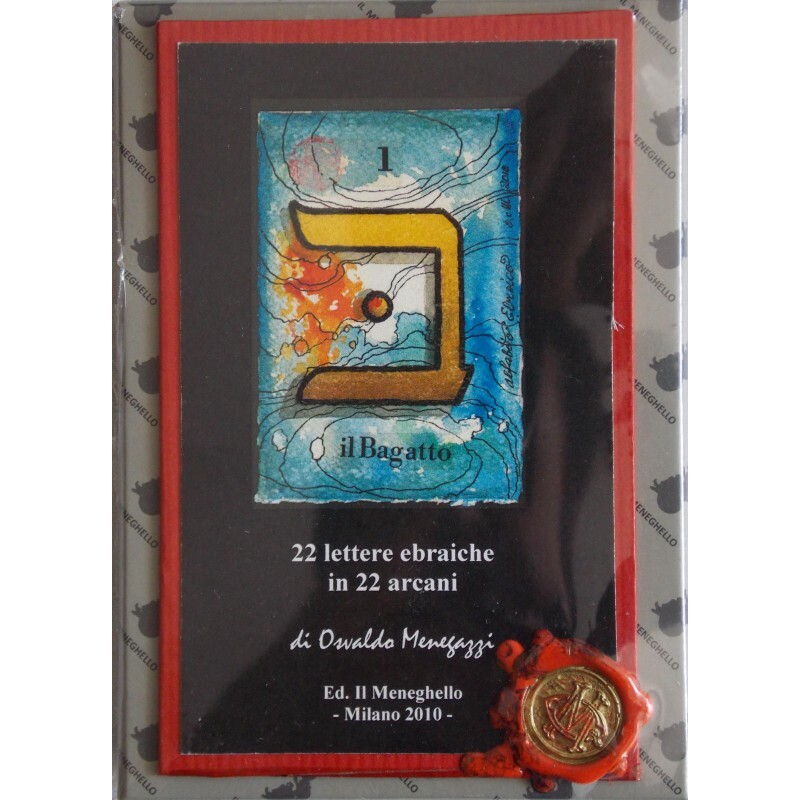 Osvaldo has painted a series of cards in Lettere Ebraiche which relate each Hebrew letter of the alphabet to a corresponding card in the Trumps.